Argyle purchased 11 properties in 2016 from cash reserves. Nine of the 11 properties have been classified as affordable housing – bringing our portfolio up to 89. Campbelltown, Goulburn, Wagga Wagga,Queanbeyan and Goulburn. At an average cost of $485k, Argyle is on track to achieve its vesting targets four years early. Over the past four years, our affordable portfolio has continued to grow. 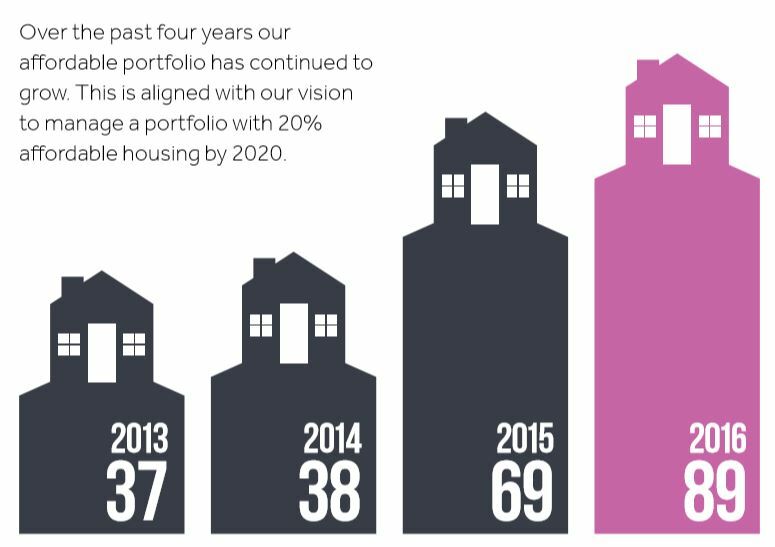 This aligns with our vision to manage a portfolio with 20% affordable housing by 2020. Argyle has jumped well ahead of its vesting targets during 201516. According to the Community Housing Assistance Agreement signed with FACS, our cumulative vesting target as at the end of the 2015-2016 financial year was 27 properties. 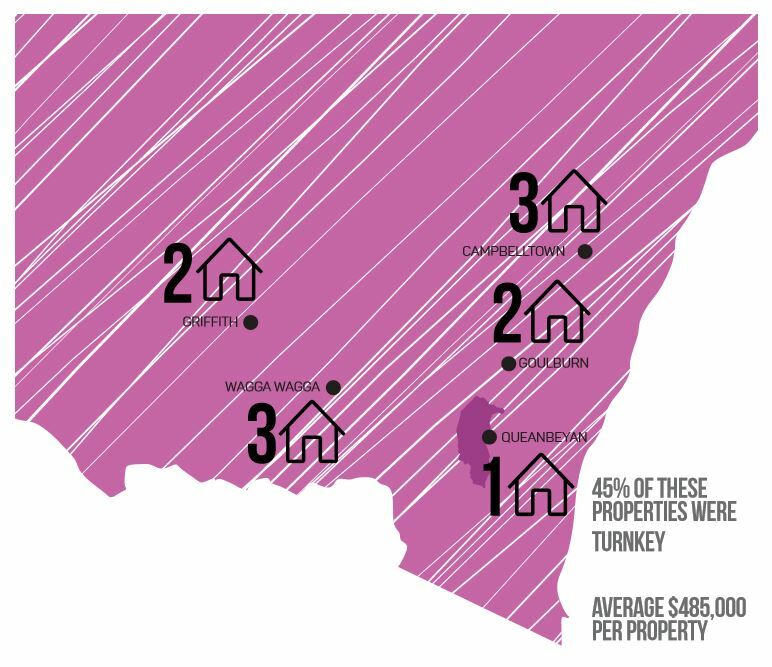 After the purchase of nine properties towards vesting throughout the year (two of the 11 total acquisitions were purchased using CHLP surplus and therefore cannot be counted towards vesting) and the settlement of 11 properties at McCleery Avenue, Moss Vale, Argyle now sits at a net addition of 37 properties under vesting – 10 ahead of schedule. With an ambitious purchasing program forecast for 2016-17, Argyle ends the financial year ahead having completed its vesting targets four years early. Our affordable housing listings on realestate.com.au have received over 900 emails and 70,000 listing views over the past 12 months. Average time on the market for our affordable housing properties is 27 days. Who did we house in affordable housing this year? 36 people including 16 children – the average weekly income for these households is $820/week. “We are so over the moon that we get to call this amazing house our home, the kids love playing in the beautiful back yard. This house has given us the opportunity to live a stress-free life knowing we have enough room for our baby due in November and be proud of where we live. A huge thank you to Argyle.” – Sharna, Jake and the kids.